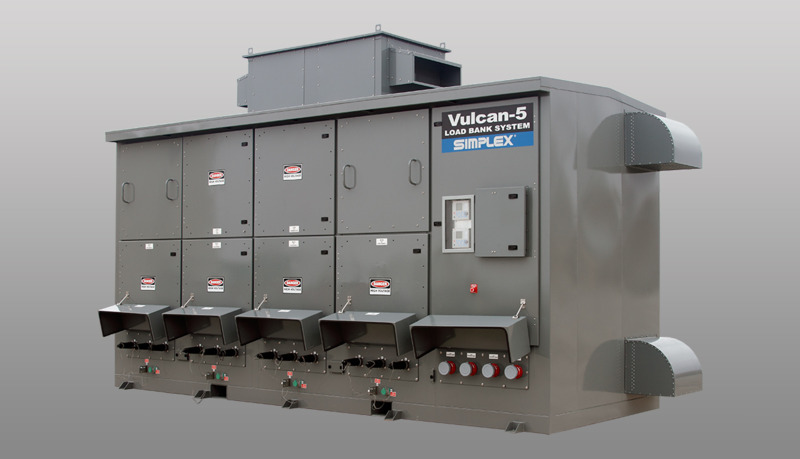 The Simplex Vulcan-5 is a very large capacity, portable Load Bank System consisting of multiple units, each rated 5.0MW, capable of parallel operation to form very large systems of up to virtually unlimited capacity. Medium voltage to 34.5kV. 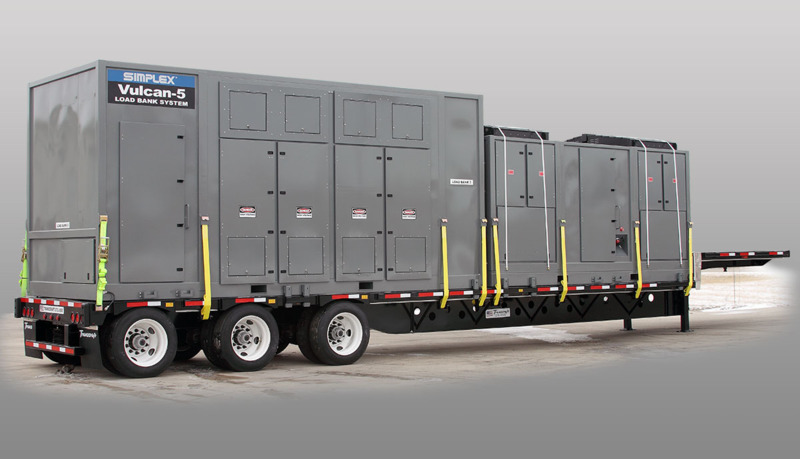 Includes: trailer portable load modules, portable or fixed mounted distribution switchgear, integrated digital control and data acquisition system, and connection accessories. Each load bank trailer is equipped with a PLC-based digital control system and local operator interface. Each trailer networked such that entire trailer can be controlled from a single station. Any system of paralleled trailers can be controlled from a single station, either at one trailer or at a remote station. 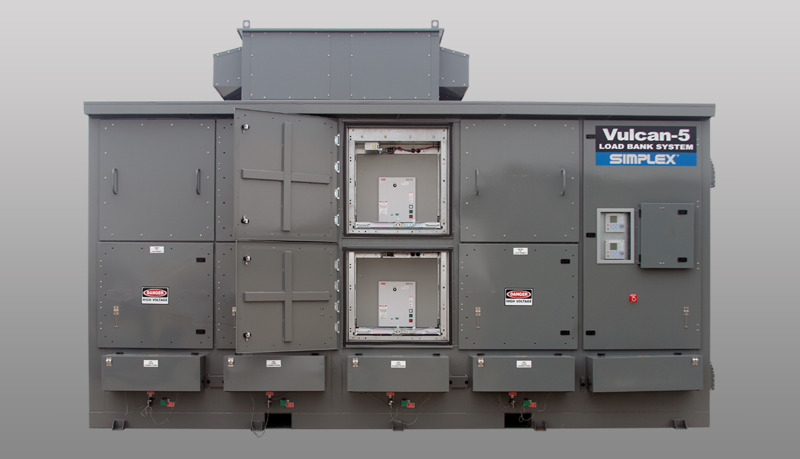 • Each 5.0MW Portable Trailer Load Bank consists of four (4) principle elements, factory packaged as a system: Low Voltage Load Bank Module, Transformer Module, Trailer, and Dgitial Controller. • PLC-based digital control. 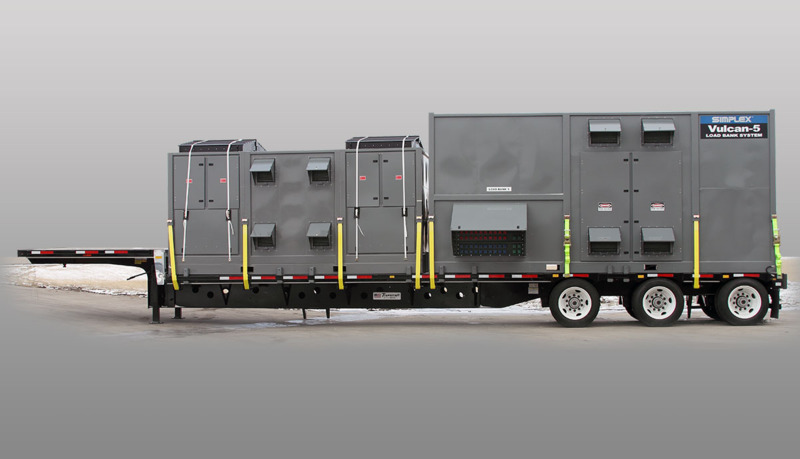 Each load bank trailer equipped with digital control system and local operator interface. Each trailer networked such that entire trailer can be controlled from a single station. Any system of paralleled trailers can be controlled from a single station, either at one trailer or at a remote station. Digital Controller PLC-based digital control. 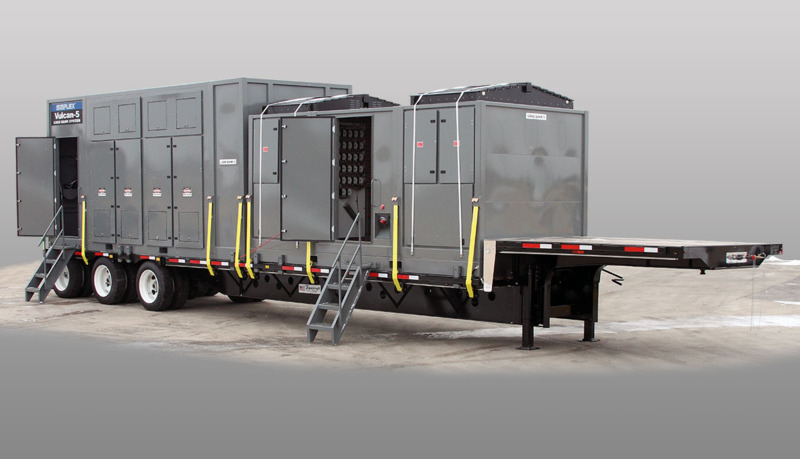 Each load bank trailer equipped with digital control system and local operator interface. Each trailer networked such that entire trailer can be controlled from a single station. 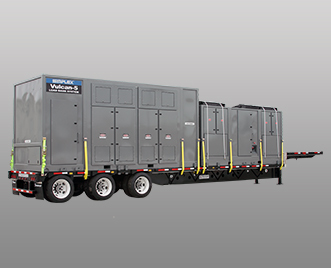 Any system of paralleled trailers can be controlled from a single station, either at one trailer or at a remote station. Digital power transducer to monitor volts-amps-hertz-KW. Network communication is via Modbus-TCP over Ethernet. 3. Transformer Protection Relay for each breaker. Note: We are experts at building products that meet our customer's exact requirements. 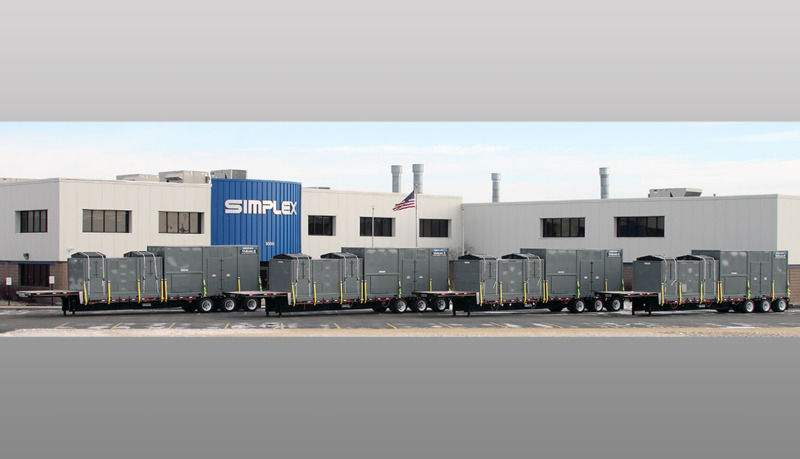 Contact Simplex if your job specifications require additional options or considerations.